Self-control (also commonly referred to as self-regulation) is the ability to control one’s thoughts, emotions, urges, and behaviors. A person might exert self-control, for example, by trying to stop thinking abou to what many people refer to as self-discipline, willpower, or self-change. 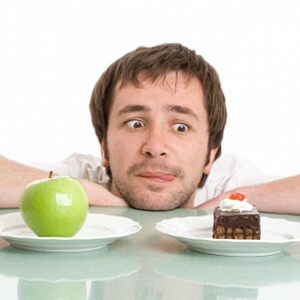 Although self-control can be regarded as an act, the capability for it is a personality trait. Some people are better at self-control than are others, not in every single occasion, but overall. Self-control measures are designed to identify which people are generally good at self-control and which ones are not. The ability to exert self-control is vital to maintaining a successful and healthy lifestyle. People must frequently exert self-control in many areas of their lives, such as when trying to diet, quit smoking or drinking, control their spending, or refrain from engaging in undesirable sexual acts. Life requires constant self-change and adaptation, such as a new college student who must motivate himself or herself to study in the absence of parental supervision. Self-control is essential in this regard. Likewise, people who are more capable than others at self-control experience numerous benefits as a result. For instance, they receive better grades, are more popular with peers, have better social relationships and mental health, and cope better with stress. They are also less likely to suffer from eating disorders or have substance problems. High self-control even helps people to follow the law and stay out of jail. Researchers have developed several different ways to measure self-control. One method is to directly assess people’s self-control behaviors. For instance, a researcher might give a person some delicious cookies or ice cream and measure how much the person eats. People typically try to limit how much of these foods they eat, and so eating a larger amount indicates a lack of self-control. One method commonly used with children is to assess the ability to delay gratification. For instance, a researcher might give a child a marsh-mallow and tell the child that he or she can eat it immediately or wait to eat it until the researcher retrieves a second marshmallow. The researcher then measures how long the child is willing to resist eating the marshmallow and wait (up to about 20 or 30 minutes) for the second marshmallow. Experiments using this and other similar procedures have shown that children more capable of delaying gratification are more successful (e.g., more popular and healthier mentally) than others many years later, even during adulthood. Questionnaires are also used frequently to assess self-control. 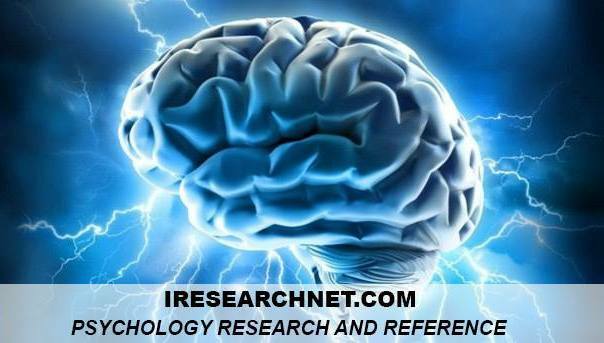 For instance, a research participant might indicate how much he or she agrees with statements such as, “I have a hard time breaking bad habits,” “I never allow myself to lose control,” or “I am able to work effectively toward long-term goals.” Alternatively, participants might be asked to report their recent self-control behaviors, such as how often they have eaten too much or lost control of their temper. Some self-control questionnaires measure the ability to exert self-control more generally, whereas other questionnaires focus on more specific self-control behaviors, such eating, illegal activities, or drug and alcohol use. One measure of personality assesses the related construct of conscientiousness. Questionnaire measures, like direct assessments of behavior, have also linked self-control with several positive outcomes. Studies on self-control have demonstrated how self-control operates. When exerting self-control, individuals first monitor themselves or pay attention to the target behavior. For instance, a dieter will first keep track of how much food he or she eats. Progress toward a goal is then compared with some standard, such as an ideal diet. People are far more successful at self-control if they monitor their behavior and set realistic standards than if they do not monitor their behavior or do not set standards. If a person’s behavior or current state matches the desired goal, then the person no longer exerts self-control. A dieter who reaches his or her ideal weight, for instance, will probably stop dieting. If a person’s behavior or current state falls short of the goal, however, then the person will exert self-control by changing his or her behavior until the desired goal is reached. Although the process of self-control may seem straightforward, actually exerting self-control is difficult and demanding. Many people fail at self-control. For example, many people fail to follow their New Year’s resolutions, even during the first week of the year. Why is exerting self-control so difficult? One reason seems to be that the ability to exert self-control is limited. Consistent with the idea of willpower, people seem to use up their self-control energy, and so they are less likely to succeed at self-control later on. In one study, for instance, participants were given a plateful of delicious cookies and a bowl full of radishes. Some participants were told they could eat whatever they wanted, whereas other participants were told to resist eating the cookies and to eat the radishes instead. It takes self-control to avoid eating cookies and instead eat radishes, and so participants who had to eat the radishes should have used up their self-control energy. To test this idea, the researchers then had participants watch a funny film and asked them to hide or suppress any signs of enjoyment or laughter. Participants who had resisted eating the cookies were less able to hide their enjoyment than were participants who had eaten freely, consistent with the idea that exerting self-control had depleted their self-control or willpower. Thus, people probably fail at self-control because they have limited self-control energy. Indeed, after completing an initial task requiring self-control, people show poorer self-control in numerous areas. They fail to control their spending, inappropriate sexual behavior, and drinking, and they seem less able to avoid thinking about unpleasant topics, such as death!